Despite the welcome need for sunglasses in London this week, the summer holiday period is now over. Children are back at school and adult workers have returned to their respective coal faces. My train journey into Liverpool Street this morning required a well-practised sardine impersonation and I swear that my gently tanned hands paled in real time to the colour of their knuckles as I gripped the rail tightly to keep myself upright. This annual slap in the face does not go unnoticed by the lifestyle commentators. Advice is readily available to help ‘overcome the post-vacation blues’. It appears that recapturing top form after a break can be a source of distress, disorientation and discomfort! I have discovered some top tips for combatting these threats to well-being and productivity – for example, ‘exercise while you’re on vacation’ (beyond wrestling with unfamiliar wine bottles), ‘introduce elements of the trip into your daily life’ (making a patio light with those Tuscan roof tiles you lugged back), and ‘bring a vacation souvenir back to your workplace’ (it’s artisanal, you know). At least, there was one piece of incontrovertibly sound guidance – ‘begin planning your next vacation as soon as you get back’. Oh yes! A few months ago, Business Insider UK raised the stakes even further, however, with ‘eight things successful people do after getting back from holiday’. On your return, if you want to hang with the elite, you need to ‘get in to work early, get briefed, not stretch yourself too thinly, not get lost in your inbox, check in with your team and customers, take care of yourself, stay focused and think back to your time off (presumably without losing any focus). There even seems to be some debate on whether holidays per se are good for us. On the one hand, there have been large epidemiological studies indicating that regular vacations reduce the risk of cardiovascular disease, heart attacks and premature coronary death. On the other hand, holidays can be stressful for many people with any positive effects disappearing within a fortnight of resuming work (within a few minutes, I imagine, for commuters). Further, some research from the Netherlands in 2014, addressing the question of whether holidays make us happy, showed that the largest boost in happiness comes from the act of planning the holiday rather than taking it. Even those respondents who described their trips as relaxing showed no additional jump in happiness after the time away. The answer, yet again, is to organise lots of holidays, to be in a permanent state of joyous anticipation. And here, of course, reality intervenes. And so to business. In my experience, when clients return from their summer vacations, they do so with an appetite for change. This is not necessarily problematic but to ignore the inevitable contemplation and reassessment that have taken place on the sun lounger can leave a client-facing team exposed to unwelcome surprises. In the spirit of power lists, therefore, here is my seven-point plan for managing client relationships in those often disjointed few weeks after the holiday season. It’s all about acknowledging the raised gaze of your clients and securing yourself in their line of sight. Schedule some social time. Clients often crave more informal, face-to-face time with their key service providers. This is a proven relationship builder and good for business but, again, tends not to happen automatically. Apparent spontaneity can require thoughtful preparation. Christmas is coming! Vacations are important personally and professionally. In business they enable us to re-charge our batteries and kick on. But they can also cause us all to interrogate our views and change our minds. Active and imaginative client engagement is vital in the post-holiday period. Is there a bright future for our cities and for those who call them home? Does striving for happiness make you unhappy? 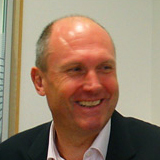 Bigfoot is owned and run by Paul Tredwell. Since 2004 I have been an independent communications consultant, delivering a wide range of projects but with a focus on and passion for relationship optimisation.